Choosing the right countertops for your kitchen is a very important decision. 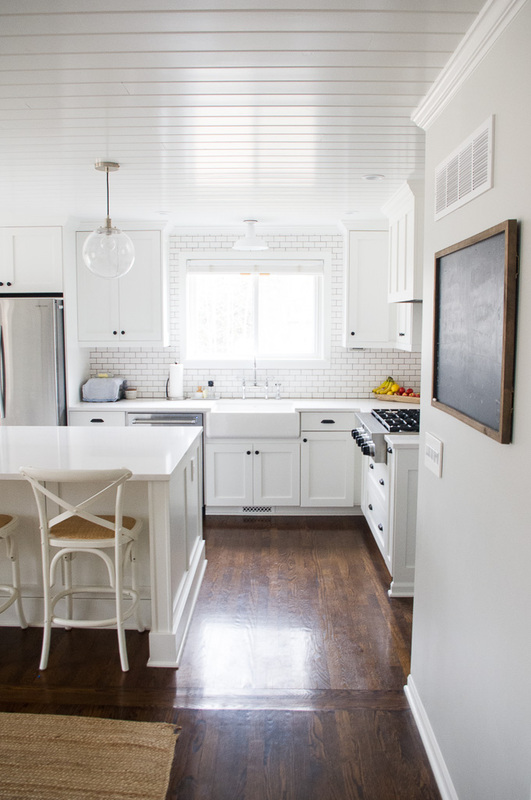 The kitchen is the center of the house and countertops receive a lot of wear and tear. We cook, clean, entertain, help our kids with homework and live in our kitchens. 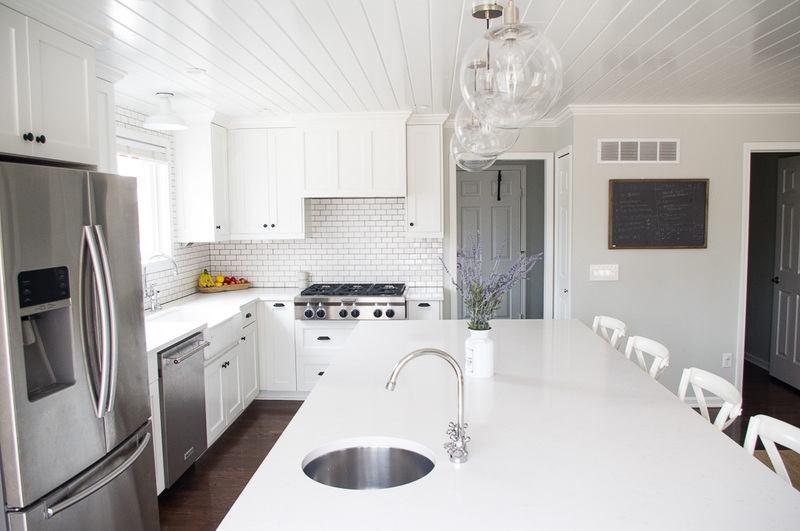 When I was designing our kitchen I knew I wanted white countertops and loved the look of marble, but knew that option wasn’t going to work for us due to the high maintenance that goes along with marble. I figured the next best option was granite, so I started researching white granite, but I couldn’t really find anything that looked like what I had in mind. Plus our island is almost 8 feet and granite slabs do not come that large, so there would be a huge seam in the middle of the island, which I didn’t want at all. Granite is gorgeous, don’t get me wrong, but it is actually very porous and can absorb liquids, as well as bacteria – ew. It also needs to be resealed often. My husband and I wanted something that was durable and clean, so I googled “durable countertops” and came across quartz. Quartz is one of the most durable stones available on the market today. It is a man-made engineered stone of 95 percent ground natural quartz and 5 percent polymer resins. This creates a very hard surface. It’s non-porous, which means its antibacterial. It’s the most durable because it is stain and scratch resistant. The seams are less visible, and there are also no striations which lead to cracks. It comes in really large slabs. One of the main reasons we decided to use quartz was because of how low maintenance it is. The resin in the quartz pre-seals it which means you don’t have to seal quartz – yay! And because it does not breed any bacteria, you can be sure that your counter is clean for food prepping. Quartz is a hard stone material and is very durable and resistant. It is also one of the strongest materials on the market today. We love that quartz is scratch-, chip- and, water-resistant. It is also non-porous and therefore stain-resistant, which means that coffee, wine, juice, and other highly-staining liquids (like spaghetti sauce) won’t leave a mark on your counter. I just wipe the counter off with a gentle cleanser, and I’m good to go. My favorite cleaner is the method all-purpose cleaner, which is natural and they have so many scents. But just soap and warm water will work too. If there is a particularly stubborn “stain” (or mark), I use a small amount of soft-scrub with bleach to remove it. We have lived with our countertops for a year now and we love the way they look and how they have held up. We love them sooo much!! I really don’t have anything bad to say about them. 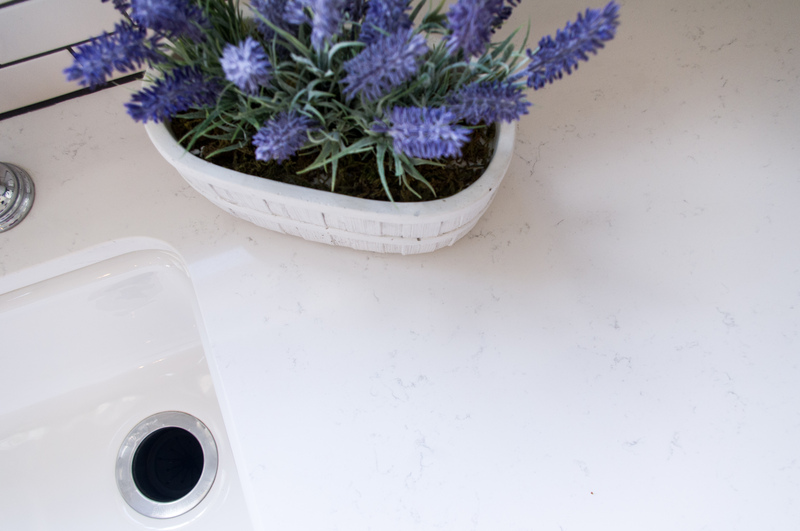 There are a lot of really good options for countertops, but quartz has so many great qualities and with so many colors to choose from it is very versatile! 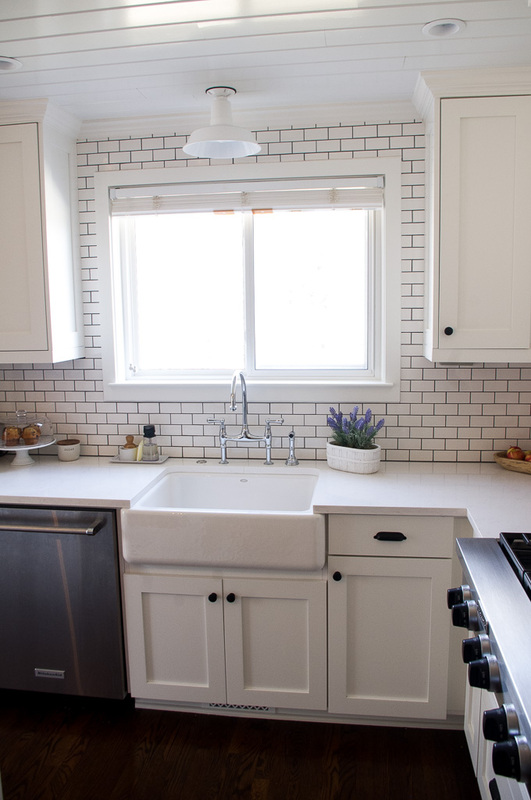 I hope that this review of quartz countertops was helpful for you and as always let me know if you have any questions and I will do my best to answer them!